Nutrition is the process by which the nutrients from food are absorbed and utilised by the body. To acheive better health and wellbeing and to avoid serious illness we must make sure that the food we eat is fresh with a balance between the main food groups. Yoga is the combination of physical exercises, breathing excercises and relaxation to achieve improved circulation, muscle tone, strength, joint flexibility and general wellbeing. Yoga is the combination of physical exercises, breathing exercises and relaxation. It is a holistic form of movement to achieve improved circulation, muscle tone and strength, joint flexibility and general well being. Yoga meets the needs of the individual on all levels, physically, mentally, emotionally and spiritually. It recognises that no single approach or practice is appropriate for everyone. Yoga teaches relaxation and breathing so that we can better manage stress. Yoga is very effective in the management of many health conditions when under the guidance of a qualified yoga teacher who can give personal attention. 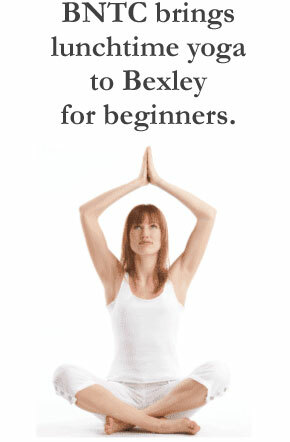 At Bexley Natural Therapies, we practice and teach yoga as a safe and effective form of exercise for general health. If you’ve never done yoga before then try our Beginners Class. • Learn the many benefits of yoga at our Lunchtime Yoga Class. • Improve your fitness, posture, flexibility, breathing, general health and well-being. • Learn from a qualified Yoga Teacher and Naturopath. Contact reception for class times.